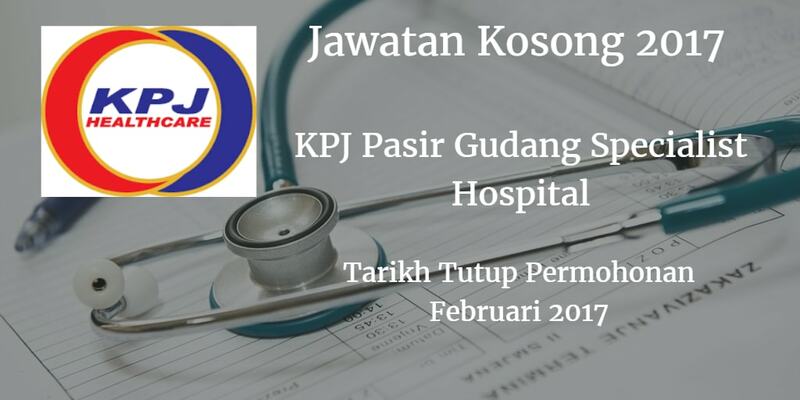 KPJ Pasir Gudang Specialist Hospital mencari calon-calon yang sesuai untuk mengisi kekosongan jawatan KPJ Pasir Gudang Specialist Hospital terkini 2017. 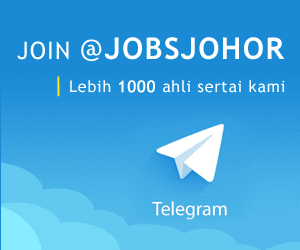 Warganegara Malaysia yang berminat bekerja di KPJ Pasir Gudang Specialist Hospital dan berkelayakan dipelawa untuk memohon sekarang juga. Candidate must possess at least Diploma/ Bachelor’s Degree/ Professional Degree in Humana Resources Management or equivalent. Experienced in Employment Act and Labour Laws, organizational planning, recruitment, organization development, employee relations, employee engagement and employee development. At least 3 years experience in Human Resource Management or equivalent. Proficient in English & possess good presentation skills in speaking and writing. Possess strong leadership skills, good planning and organizing, excellent interpersonal skills and able to interact at various organization levels. Must be organized, multitasking and willing to work under stress. Proficient in MS Office programmes. A good team player who will support his/her team members to complete tasks in timely and accurate manner. Committed, able to multitask and ensure completion of work within tight deadlines. Ability to read, analyse and interpret data and documents.